Reduce print costs but don't settle for less than the best. An efficient Samsung Xpress M2675FN Series gives you the speed you need to be more productive, but there's no compromise on quality. 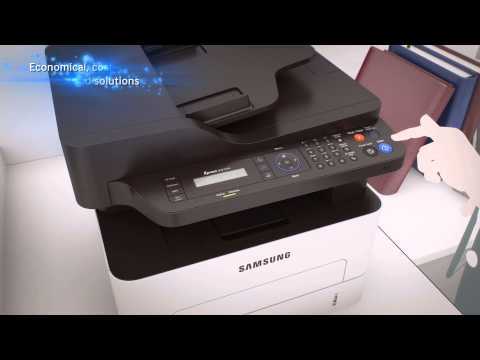 What's more, thanks to mobile printing and Easy Printer Manager software, these printers are also designed to be easy to use. Now impressive professional-quality prints are possible for everyone. Your Samsung Xpress M2875FD Series delivers sharp, clear prints that are sure to make a big impact. Thanks to its 4800 x 600 dpi effective resolution and Rendering Engine for Clean Page (ReCP) technology, you can enjoy higher performance and quality without the need for a bulky larger printer. What's more, quality-boosting features give you more detail, smoother images and clearer text. Thanks to built-in fax capabilities, you don't need a separate fax machine anymore. You can also transmit faxes remotely from your mobile devices, so you can send that important document wherever you are, without needing to return to your home or office. Print what you need, wherever you are. You can now print a wide range of files on the go using a mobile device. Thanks to the included Google Cloud Print, you're also able to print and share all your emails, photos, PDF documents, and SNS messages.